We are a provider of award winning, high quality mental health, community and learning disability services that look after the ‘whole person’, caring for their physical and mental health needs. We work with individuals, their carers and our partners to ensure that people get the right care, in the right place with the right support. Our health care services cover all ages, so if you live in Bradford, Airedale, Wharfedale or Craven you may come into contact with one of our team at some point in your life. We know that you want your care to be delivered in your own home, or as close to your home as possible and we are committed to providing high quality community care tailored to your needs. We provide award winning, high quality mental health care that looks after the ‘whole person’, caring for their physical and mental health needs. We offer a range of mental health services for people of all ages living in Bradford, Airedale, Wharfedale or Craven. This includes hospital based mental health care at our dedicated sites Lynfield Mount and Airedale Centre for Mental Health, as well as care in the community. For further information visit our mental health services homepage. We provide a range of community health services for patients at every stage of their lives from our experienced health visitors who support families and new-born babies to our dedicated staff caring for people nearing the end of their lives. We look after some of the most vulnerable people within our community. For further information visit our community services homepage. The learning disabilities health support team is a specialist team which is made up of psychiatrists, psychologists, occupational therapists, speech and language therapists, physiotherapists, dieticians, nurses and health support workers, who support people with learning disabilities (LD) to have their health needs met. 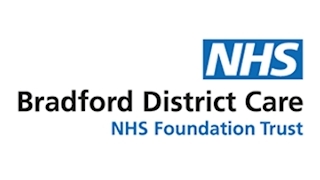 The team does this through assessments planning, providing specialist equipment and advice and making sure reasonable adjustments are made so that individuals can have their health needs met either in mainstream services or at our specialist clinics at Waddiloves Health Centre. The older peoples mental health services provide assessment and treatment of Dementia. The service offers memory assessment; guidance, signposting and psychological and practical support for service users and their families in the community. The award winning Dementia Assessment Unit provides short term care for those who are acutely unwell with their dementia and are experiencing challenges with day to day living. For further information please visit our Dementia Assessment Unit homepage. We offer a range of specialised dental health services, helping to make sure that everyone has access to dental health care when they need it. This includes community dental care, urgent dental care and oral health promotion. For further information visit our dental services homepage. Our children’s services at provide a streamlined service for children from 0-19 years. They include family nurse partnership, health visiting, school nursing and the safeguarding team. We work closely with other services such as midwifery, child and adolescent mental health services, schools, children’s centres, GP’s and other services and organisations in your community. Our aim is to provide a high quality service to support parents, children and young people so that they are able to achieve the best outcomes in their health and development. For further information please visit our children’s services homepage. Wherever you access our care you can expect a high level of quality and support.